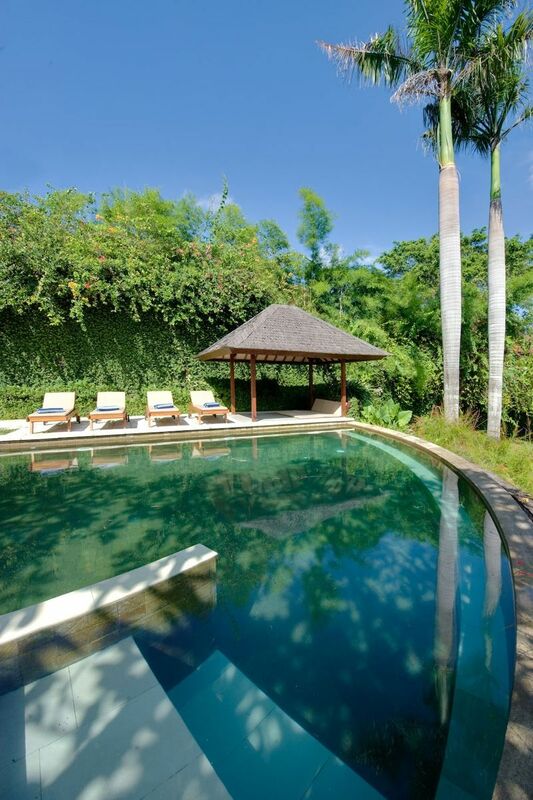 Villa Bali-Bali One is located between the traditional villages of Umalas and Banjar Semer, near Batubelig beach. 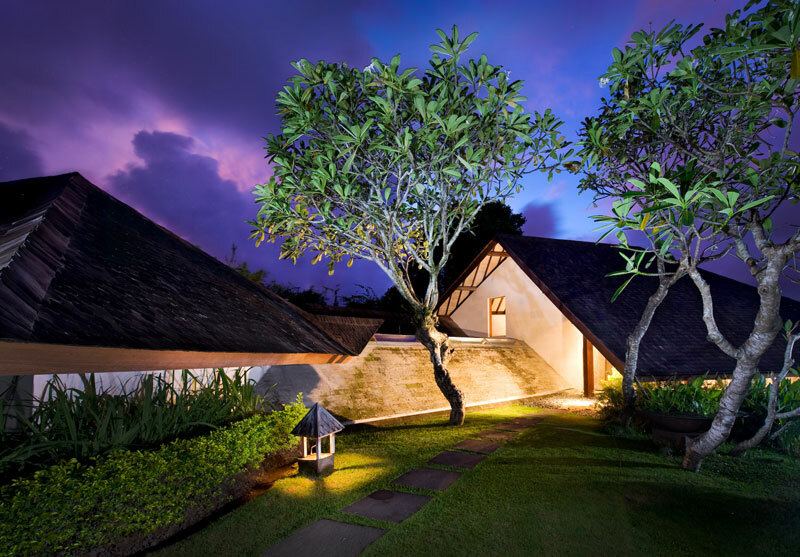 It presents the double attraction of being close to everything, while also offering visitors a privileged insight into the traditions of rural Bali. 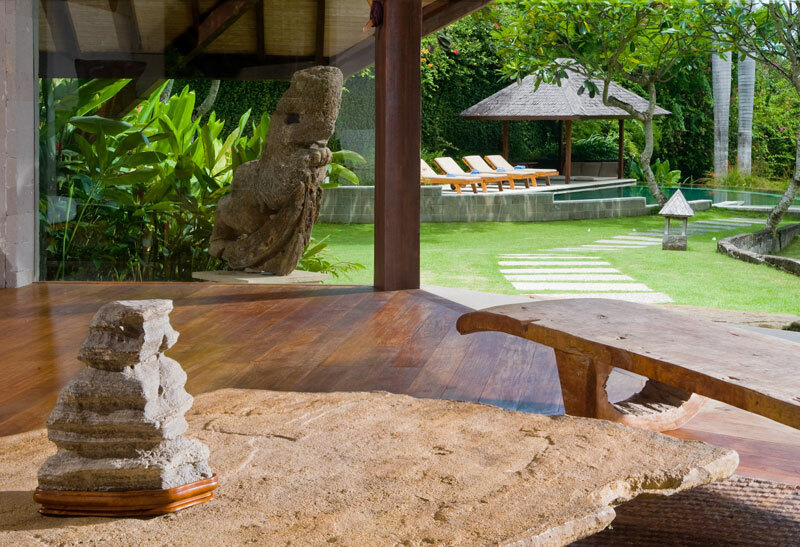 The trendy Seminyak area with its wide choice of cocktail bars, nightclubs, spas and shops, is a mere 15 minutes drive away. 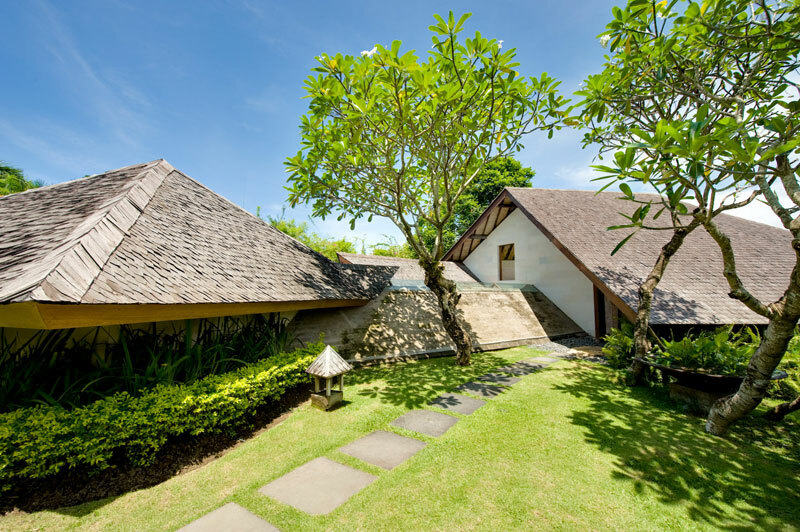 The beach at Seminyak, renowned for its world-class surf breaks and panoramic coastline views, is the place where the local community gathers every evening to watch the legendary sunsets.The Umalas Equestrian Centre is within 100 metres of the villa and the Nirwana Golf and Country Club, one of Asia’s finest golf courses, is a 20-minute car journey. 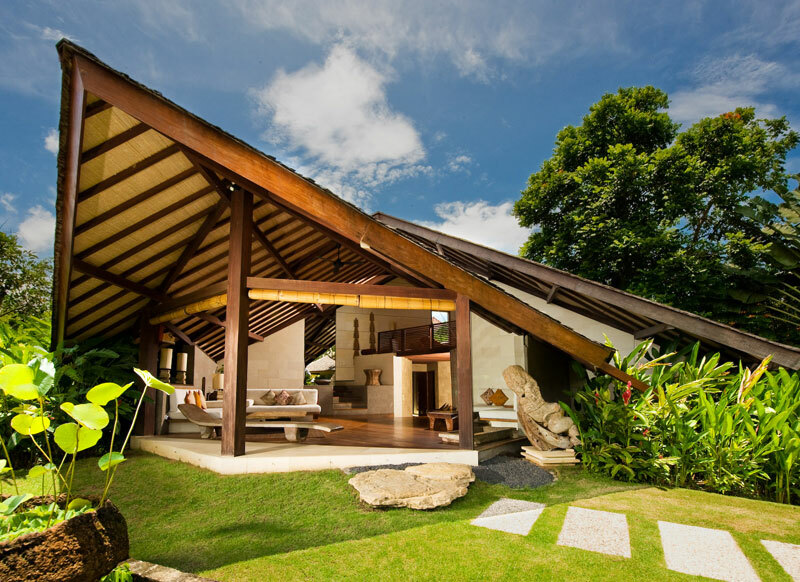 The greens overlook the Indian Ocean and the dramatic wave- lashed Tanah Lot sea temple. 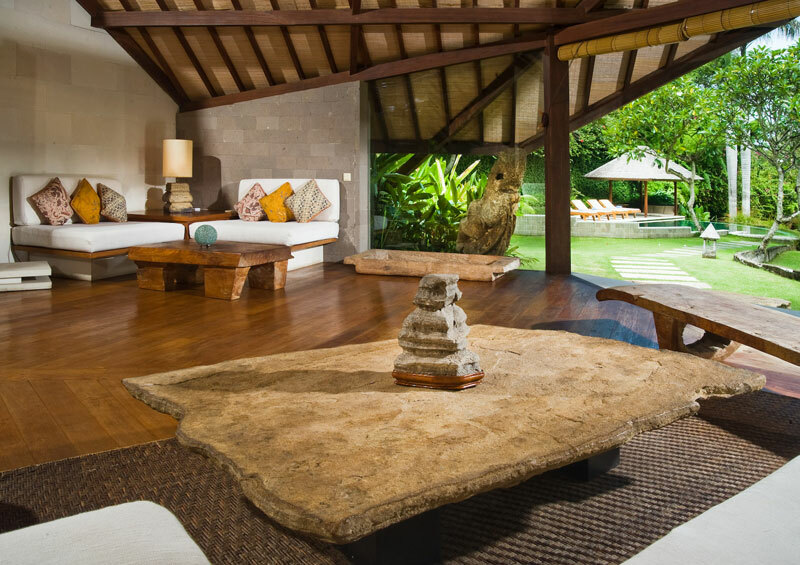 Villa Bali Bali One is integrated into the natural contours of the sloping land site, with low roofs, organic shapes and teak floors. 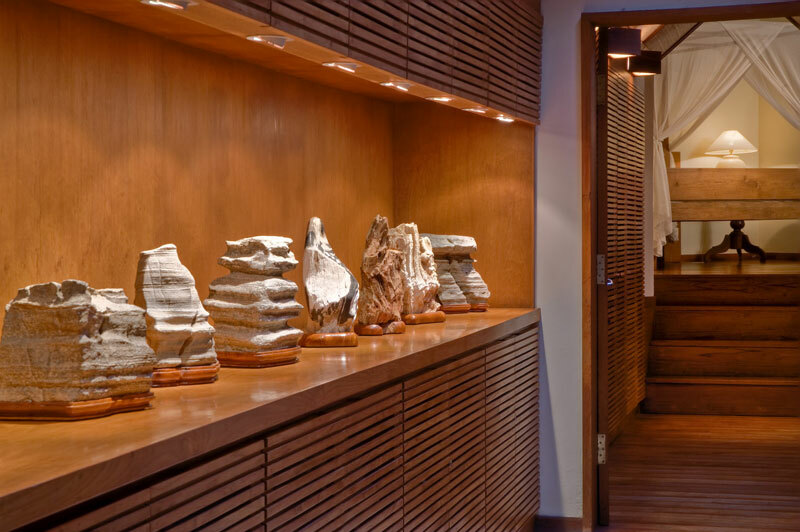 The three bedrooms are accessible via a glass-pitched roof and a stone floor passageway from the living & dining area. 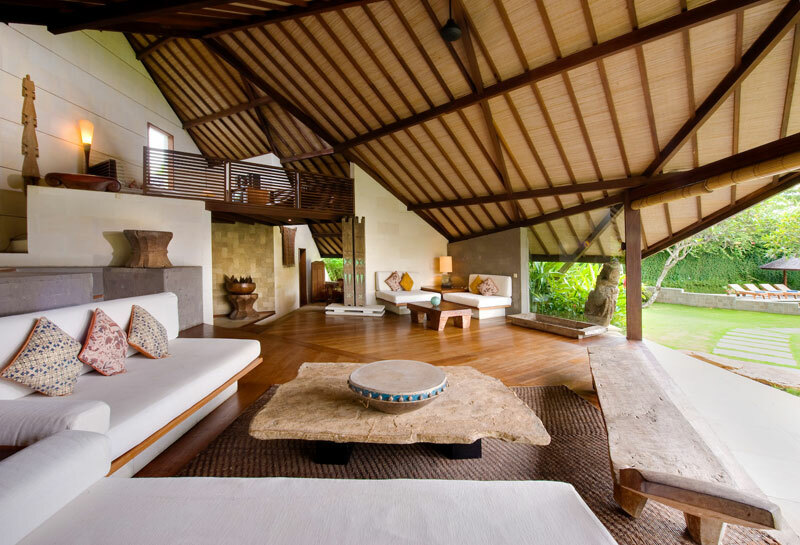 The master bedroom features a glass doors opening out into a private garden. 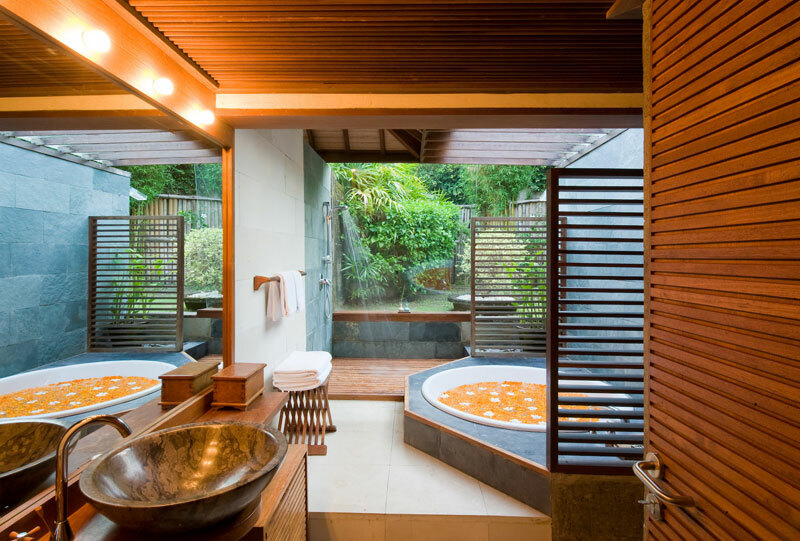 Its semi open-air en-suite bathroom features a big circular Jacuzzi tub. 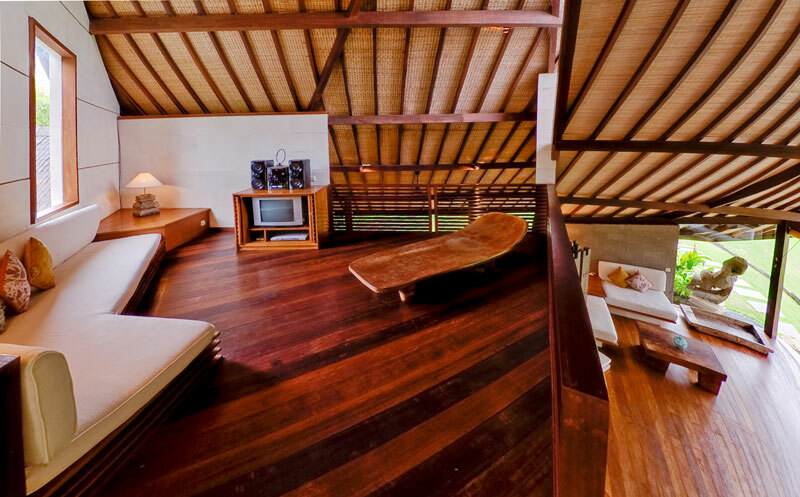 The second bedroom is similar in style to the master with an abundance of teak and shares its en-suite bathroom with the third bedroom. 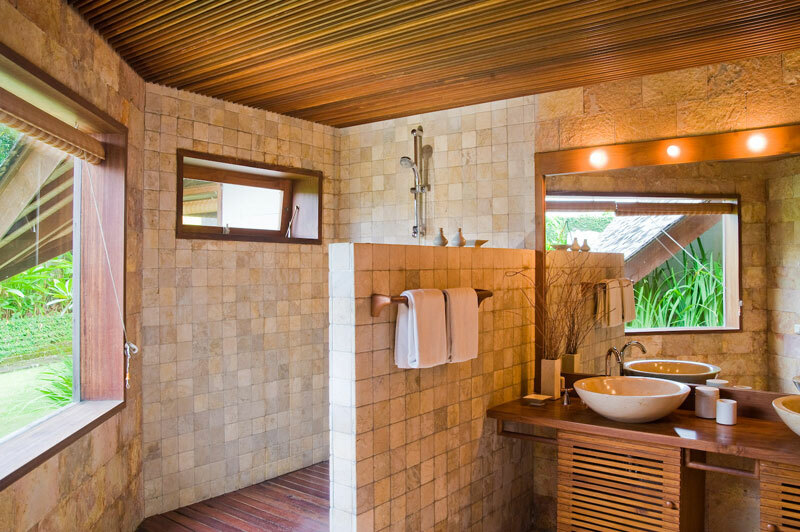 The shared semi open-air bathroom can be accessed by doors from both bedrooms and is fitted with a walk-in shower with a view into a private garden. 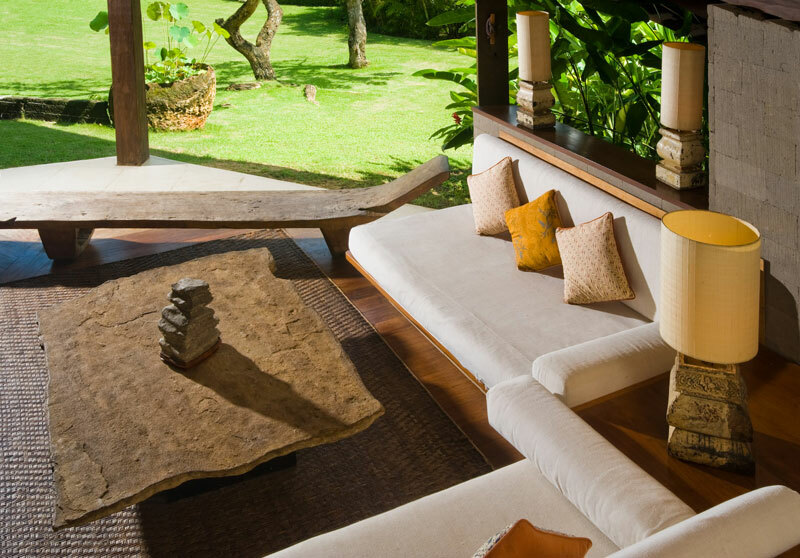 The living room is opened to the garden with sitting areas. 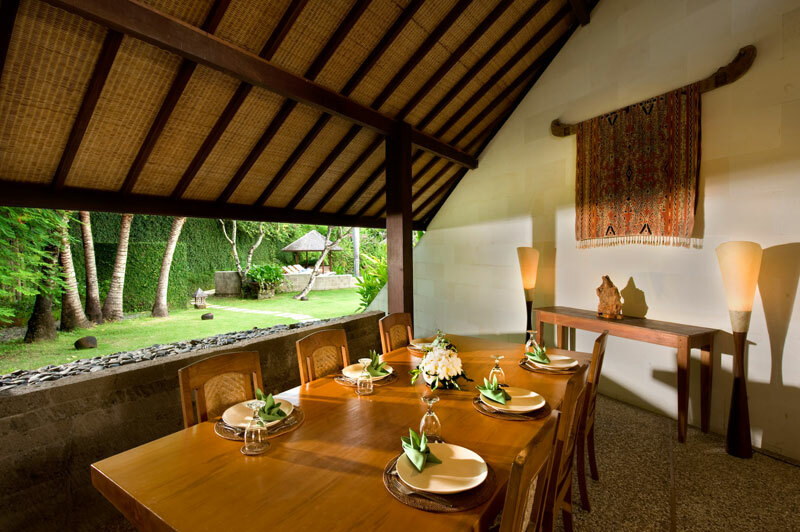 A semi open-air dining room features a pebble rock floor and a ‘Batu Yogya’ stone wall to one side. From the living room, you can access to an open mezzanine entertainment lounge. 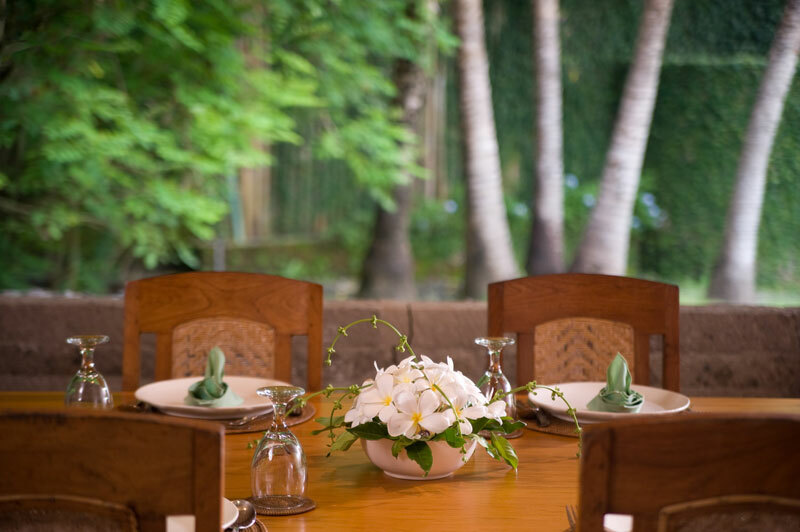 The self-contained kitchen presents polished black granite work surfaces and teak cabinets. 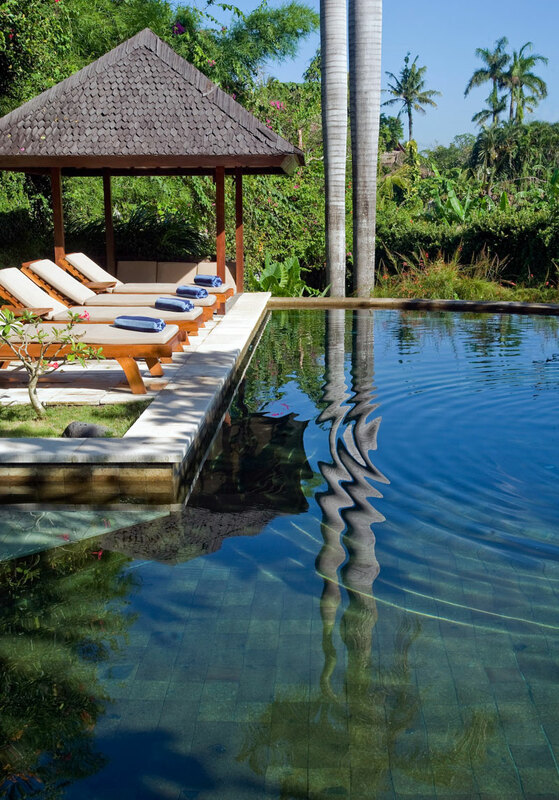 The gardens are planted with all kind of flowers and trees and a half moon swimming pool is completed with a deck furnished with sunbeds, and a relaxation pavilion.